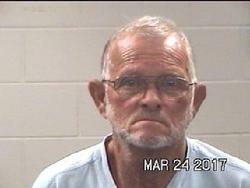 67 Year Old Neighbor Allegedly Sexually Assaulted Girls, CRYSTAL LAKES, March 24, 2017 - Sheriff Kenneth Hammack reports his office received a call on March 19, 2017, concerning allegations of one or more female children suspected of being sexually molested by a male neighbor. Detectives with the Polk County Sheriff’s Office Criminal investigations division began conducting forensic interviews with the female victims at Polk County’s Child Advocacy Center, Childrenz Haven. During the interviews, the children made outcries of sexual abuse. Both children stated that the molestation occurred when the neighbor let them set on his lap and drive his truck in the subdivision of Crystal Lakes. Detectives were able to identify the neighbor as Eddie Strapps Jr., 68, of Livingstson. The findings in the investigation were presented to the District Attorney’s Office and an arrest warrant was obtained for the criminal offense of Aggravated Sexual Assault of a Child against Strapps. Strapps was later arrested at his home on March 23, 2017 and transported to the Polk County Jail where he is currently being held. At time of press, a $50,000 bond has been issued by Justice of the Peace, Dully Johnson. Sheriff Hammack is requesting any residents in the Crystal Lakes subdivision with knowledge of this investigation or believes another child has been abused to contact Detective Christi Allen at 936-329-9025.